What are QR codes and why are they important for businesses? Posted October 27th, 2011 by Codastar & filed under Codastar News. QR (or Quick Response) codes have been appearing in more and more places over the past few month, however, they’re not just quirky barcodes, in many ways it’s important that your business understands them and how they might be useful to you. QR codes look like a series of black shapes inside a square on a white background (look at the example above). Basically they’re very much like barcodes and you may have seen them in magazines, on public transport, on products or on billboard advertising. You can use your mobile device to scan or read QR codes and then you’re presented with some kind of information. This could be as simple as a word or picture, or you could be taken to a website or landing page instead. Look at the example above. Someone has used their mobile device to scan a QR code and they’re then asked by the dedicated app to visit the website that the code refers them to. How can I view them? 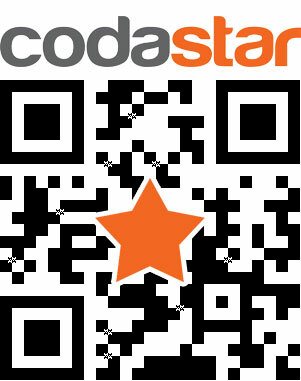 To view a QR code you need to use your mobile phone to scan or read it. Some handsets, like BlackBerry and Android models may natively read QR codes themselves. This means you can open up your camera, point it at a QR code and you’re given information, whether that be text, augmented reality characters or a website. However, some other devices, like iPhones for example, require you to have a special app to read QR codes. So you’ll see a QR code, open up the app and use it to scan it. You can see this happening in the example above with the Apple iOS app QR Scanner (which you can get from iTunes for free). Although some handsets require you to have a special app, most modern day smart phones let you view QR codes in some way, so lots of people have the ability to interact with them using their mobile phones. How can I make them? If you just want to make a QR code that displays a simple picture or text, there are plenty of places online for you to generate one. Simple type in your details and away you go! Have a play around with sites like Qurify and Kaywa to try them out for yourself. Why are they useful to businesses? QR codes are used in all kinds of industries but are particularly useful to those in advertising and marketing, as they can be used alongside promotions to allow people to access information quickly and in a different way to what they’re used to. Most smaller businesses find that QR codes are a great way of pointing people to their website. However, this means that your website needs to look good. If people think you’re using an innovative piece of QR code technology, they expect to see a good website once they scan the QR code and click through. Because people will also be reading QR codes from a mobile device, you also need to make sure your website is fully optimised for mobile phones, otherwise visitors will be disappointed by what they see. It’s also important to remember you don’t just have to point people to your main website when using QR codes, you could send them to an internal about page, to a Facebook page, Linkedin profile or even a portfolio full of your work. Interestingly, QR codes don’t just have to be a random collection of squares either, they can be made to incorporate your logo into them, making sure they’re of even more value to you and your business. 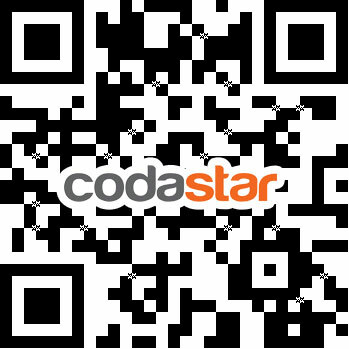 If you want to find out more about QR codes and have one made for your company’s website with your logo incorporated into it, then get in touch with the Codastar team today and we can tell you more. If you want to trial QR codes on promotional material and business cards but think your web design may not be up to scratch, we can not only create you a QR code, but make sure that your website is optimised for mobile devices and looks great too.